Tinsel, M-Net’s leading multi-million naira studio-based soap opera, partner’s renowned hair stylist to the stars, Ugo George Igbokwe of Make Me Salon, an ultra-modern beauty parlour in Surulere, to deliver a 10-day training workshop with members of the hair department of locally produced TV soap opera. The local production which is based in an exclusive studio in Lagos, boasts of a large production team many of whom are professional make-up artistes, hair dressers, costumers etc all employed on a permanent basis. While the show continues to enjoy accolades and recognitions for its world-class production, it is important that the production continues to raise the bar on its production and not relent on its oars. “Tinsel, though, locally based and produced, is a world class production; so we constantly strive to achieve world class standards and ensure we are up to date with international trends and practices. This partnership is part of a series of workshops directed towards availing the Tinsel crew of the expertise of renowned Nigerian entrepreneurs who excel at their craft”, a rep said. Speaking at the first day of the workshop, the MD/CEO, Make Me Beauty parlour, Mr. Ugo George Igbokwe, popular known as ‘Ugo Make Me’ describes the soap opera as truly addictive and a premium production. 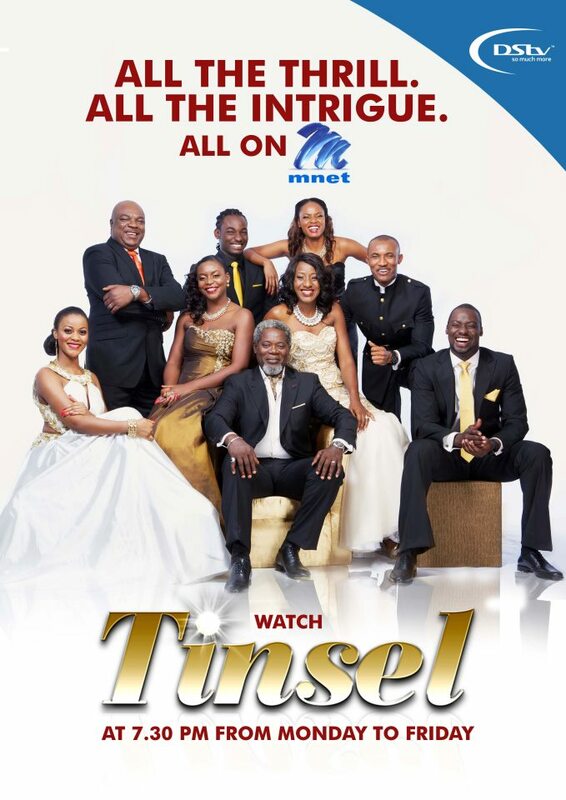 “The reason we chose to partner with Tinsel is because the soap opera has over the years proven itself to be of international standard, this is something consistent with us at Make Me. We are very focused on excellent service delivery hence, we understand the value of a production such as Tinsel and we were quite pleased when they approached us with the idea of training their hair department”.